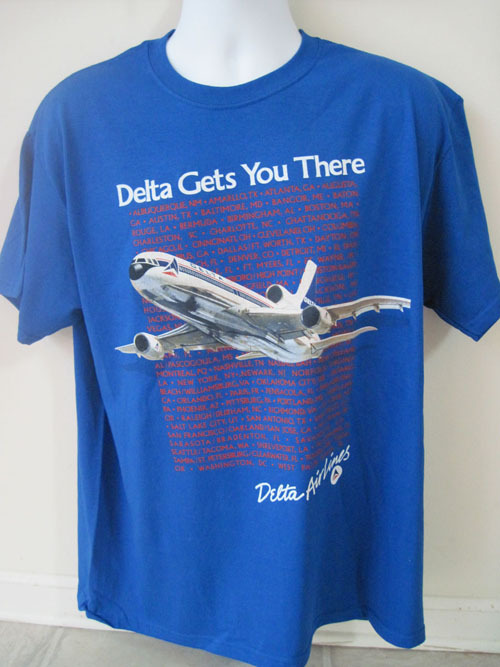 California is all Smiles and you will be too when you wear this great PSA "Mother Grinning Bird" L-1011 shirt! 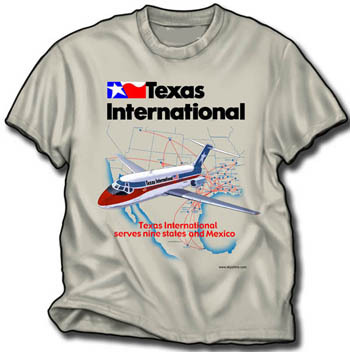 The latest in our TriStar designs featuring the Lockheed TriStar, we have the PSA version in colorful oranges, pinks, and reds. On a 100% cotton Gildan 'Sand' (light tan) shirt. 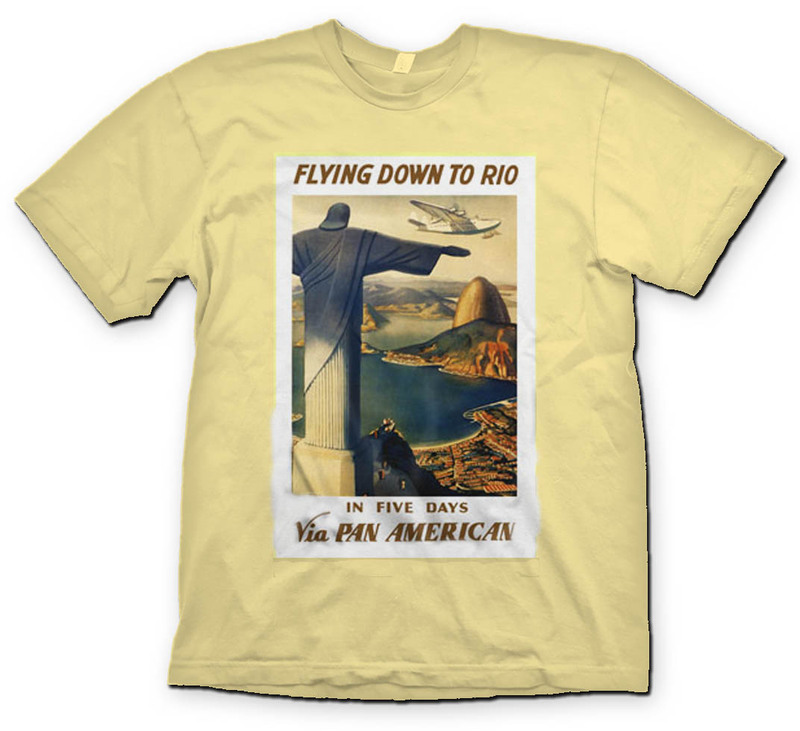 Pan American "Flying Down to Rio"
Delta 1980's Promo shirt (Blue)!